On March 27, 2019, the chief engineer contingently approved the change applications submitted by the cities of Hays and Russell to convert the irrigation rights of the R9 Ranch in Edwards County to municipal use for the cities. The documents approving the water right changes include a 53-page master order as well as 32 individual change approvals and other attachments and exhibits. The master order includes the Chief Engineer’s summary and review of the pertinent public input received regarding the change application decision. Documents posted on KDA-DWR web site related to this action (https://www.agriculture.ks.gov/HaysR9) include the chief engineer’s transmittal letter, the final Master Order contingently approving the cities’ change applications, a one-page summary of the matter, and more. Unless the order is challenged, the next step will be initiation of the water transfer proceeding. The City of Hays purchased the approximately 7,000-acre R9 Ranch and its thirty water rights in southwestern Edwards County in 1995 with the intention of someday using the water as part of the Cities of Hays and Russell’s water supply. During June 2015, the Cities of Hays and Russell (Cities) submitted applications to KDA-DWR to change the use made of water from irrigation to municipal use for the R9 Ranch water rights. As these proposed changes envision moving greater than 2,000 acre-feet more than 35 miles, during January 2016, the Cities submitted an application to transfer water from Edwards County to the Cities pursuant to the Water Transfer Act (K.S.A. 82a-1501, et seq.). The water transfer proceeding is not initiated until the transfer application is complete, which includes the contingent approval of change applications. During May 2018, a draft proposed master order and exhibits were transmitted to GMD5 for its review and posted on this website, along with the change applications and amendments. A public information meeting was held on June 21, 2018 to discuss the applications. GMD5 provided a recommendation on August 28, which was supplemented on September 14; WaterPACK provided additional responses on August 21 and 13; and the cities provided responses on September 14 and 18. The irrigation rights of the R9 Ranch include 32 water rights covering 56 points of diversion with a total authorized quantity of 7647 acre-feet/year for irrigation. Because only the consumptive use portion of the water rights can be changed from irrigation use to municipal use, the total authorized quantity is being contingently reduced to a maximum of 6,756.8 acre-feet/year. In addition, the Chief Engineer has imposed a 10-year rolling aggregate limitation of 48,000 acre-feet (an average of 4,800 acre-feet/year), based on the reasonable long-term yield of the R9 Ranch water rights. The master order includes prescribed reporting and monitoring requirements and also includes a delayed effective date, among other conditions. As a result of the public process, the following key revisions to the initial proposed approval documents were made by the Chief Engineer and incorporated into the issued Master Order: provisions that would have allowed the 10-year rolling aggregate limitation potentially to be dropped in the future were removed; a provision was added that requires a public hearing prior to any increase of the 10-yearrolling aggregate limitation; a water quality component was added to the Cities’ monitoring plan; and a minor error in the cities’ groundwater modeling was identified and corrected. The next step is to initiate the water transfer proceedings under the Water Transfer Act.  The water transfer panel will consist of the Chief Engineer, the Director of the Kansas Water Office, and the Secretary of the Kansas Department of Health and Environment or the Director of the Division of Environment. A hearing officer will be appointed who will hear testimony. At issue at the hearing will be whether it is in the state’s overall best interest to allow the Cities’ requested transfer of the water. The process of the water transfer proceedings is anticipated to take 1- 2 years.